Even elite athletes need coaches. We help your team stay on top of trends and their game. We believe in supporting district leaders; but for us, it isn't just about the top layer. School leaders need help too. We take a capacity-building approach because we believe that implementations are stronger when the people on the ground get the support they need. We provide coaching development so that coaches feel equipped to support their teachers. You do not want to rely on outside consultants forever, so we build up teams to do great things on their own. Develop action steps to prioritize and implement instructional approaches aligned to your district's strategic plan. Design new processes and methods to increase capabilities of teams. Develop fluency in problem solving through design thinking strategies. 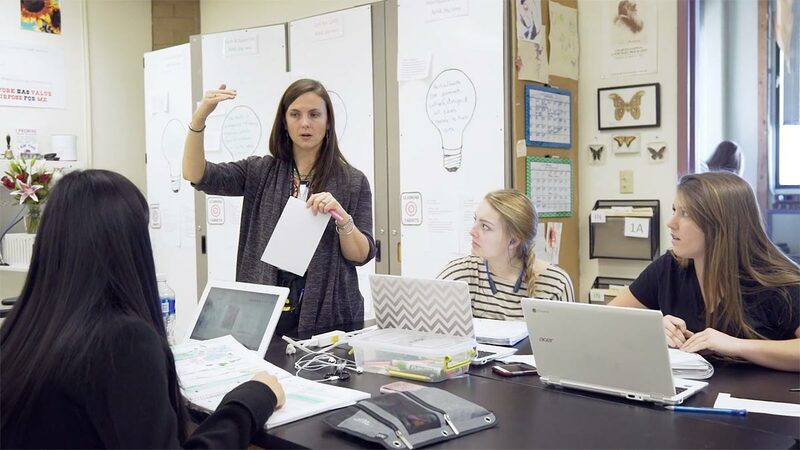 Build skills needed to become designers of learning focused on classroom design, content selection, and other key competencies for personalizing learning. An excerpt from the new book from Anthony Kim & Alexis Gonzales-Black. In this chapter, the authors explore how changing your approach to planning changes your outcomes. Simple changes can lead to big successes. One of the worst things any organization can suffer is stagnation. While innovation is important, it can be intimidating to embark on a journey of change. Learn how you can encourage a culture in which innovation is ongoing and the norm. When our team partners with a school district to tackle its toughest education leadership challenges, relationships are built at all levels of the organization.